Using social media for lead generation, or what we like to call “Social Selling”, is where the most successful people who are responsible for sales are concentrating their efforts in today’s extremely competitive landscape. That’s because innovative business owners, CEOs, Directors and Sales Managers understand that consumers or buyers are primarily starting their buying process on-line. And more importantly, this buying process is happening with or without the guidance of you or your sales staff. So if your sales reps are not on-line and leveraging social media sites like LinkedIn to build and promote their personal sales expertise, they could be losing sales opportunities they didn’t know they had. The Social Media Mastery Course will reprogram their activities to take advantage of the online opportunities hidden in plain view on social media. 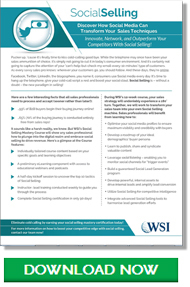 At WSI we want to help teach you and your staff how they can be adding value to this social buying cycle and transform the way they sell, so they can help provide true insight throughout the buyer’s journey and ultimately win your company more business. If you want to be able to adapt and stay relevant with today’s consumers, your sales reps need to become a hybrid of traditional sales (phone, email and voicemail) mixed with a strong social presence, social clout and thought leadership then contact us to arrange to join our new Self Study Programme. Recorded “Live Webinars” are core to each ‘module’, with additional support materials and assignment documents so that you and your staff can take advantage of this opportunity. This ‘Step-by-step’ program will walk you through, what you need to do and how you can do it. 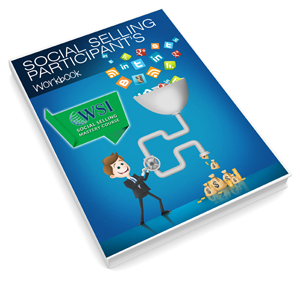 Previous attendees have seen their ‘Social Selling Index Score’ go from the low teens and 20s to the upper 70s and 80s in just 90 days. If you have 10+ we can arrange for you to have your own branded version of the Learning Management System and dedicated trainers/coaches. For organizations with 100+ staff, we also offer the alternative where we coach your trainers to develop and deliver the program using your own staff under license.